Cedar Creek Lodges on Tamborine Mountain is a picture perfect wedding destination with ceremony, reception and guest accommodation all located on one magnificent rainforest property. The Rainforest Amphitheater is a picture perfect location, stylishly set amidst lush rainforest, piccabeen palms and the dancing waters of Cedar Creek. Songbirds is your one stop wedding venue. Your ceremony, reception and accommodation is all in one place, so no need for the stress of rushing everywhere. Come the night before and have massages, yoga, one of our delicious platters to have with a wine on your deck. In the morning you can have a breakfast basket with our gourmet teas and Nespresso coffee – or even a glass of bubbles! Then have a soak in the spa bath and then a shower and be fresh for your make up artist, hairdresser etc. The best part, no stress, just relaxing into your big day. We can help you arrange your next getaway. Take advantage of our FREE booking service where we will take care of it all. From finding & booking your accommodation according to your budget and any requirements, to making your stay extra special with winery tours or massages and even restaurant reservations. The Manor’s split-level Victorian suites each offer a queen size bed, private balcony, ensuite, reverse cycle air conditioning, gas fireplace, TV (not that you’ll get a chance to use it!). Our tennis court, swimming pool, sauna & spa are all inclusive. There are 8 rooms upstairs, which have a Victorian style, and a further 8 rooms are on the ground level with a Country style. Our luxurious cottages are perfect accommodation for honeymooners or romantic getaways. There are 4 individual cottages hidden away in private garden settings. Hampton Estate is the perfect luxurious getaway in the heart of Tamborine Mountain. Our boutique accommodation consists of 8 beautifully designed studio suites. Inspired by the popular holiday destination, the cottages have aptly be named after beloved villages in The Hamptons, New York. 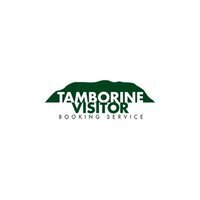 Relax high above the Gold Coast on picturesque Tamborine Mountain with a stay at Cottages Accommodation Tamborine Mountain (also known as The Cottages). Leave the outside world at the entrance to our secluded cottages which are nestled in 3 acres of gardens and overlooking acreage with horse paddocks. you will be perfectly positioned to enjoy all that the mountain has to offer. Just a short stroll away from our beautiful Waterfalls, Restaurants and Wineries. 4.5 star Stonehaven Guest house offers beautiful king size rooms, all Air Conditioned with double Spa and Ensuite. Perched on the edge of dramatic Guanaba Gorge, Mt Tamborine Motel offers views from the balcony of our stylish rooms. We are the largest accommodation house on Tamborine Mountain with 24 rooms, so we are the perfect choice for your wedding guests. We are only a short drive away from all the major wedding venues on Tamborine Mountain. Our family owned and operated Motel offers reasonable rates and real country hospitality in well-appointed rooms. Pethers Rainforest Retreat is a spectacular boutique wedding venue situated in Tamborine Mountain – a truly magical and secluded rainforest setting that will complement your special day.